A detail from the middle of the left panel of the North triptych. Acrylic on canvas. Approximate size of this detail is 30" x 40". 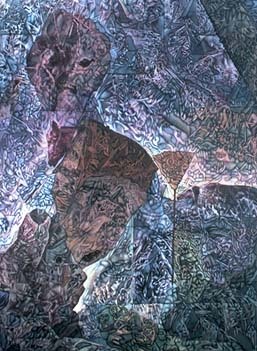 Begun in 1988, the North triptych took about 18 months to paint .